Eggplant is not only a common feature in Mediterranean cuisine, but it's also one of the most beloved vegetables in the region. And why wouldn't it be?! 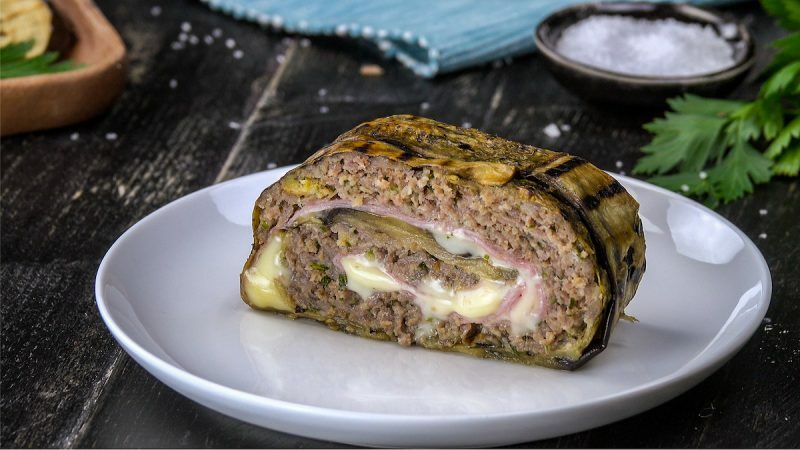 The nightshade is both nutritious and delicious, and it's also quite versatile in terms of how you can use it, as can be seen in this mouthwatering roulade recipe incorporating beef, ham, and plenty of cheese. 1. Preheat the oven to 350°F. 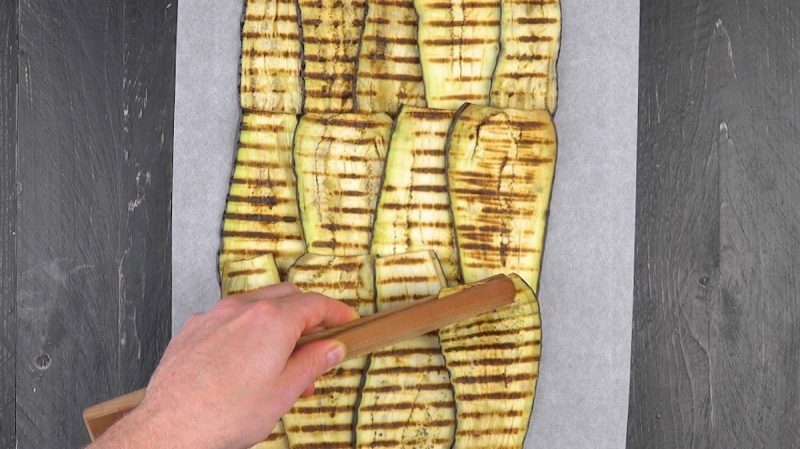 Cut the eggplants into thin, even slices and grill them all on both sides in a pan. Arrange all the roasted slices on a sheet of parchment paper, as shown in the video, and let them cool down. 2. 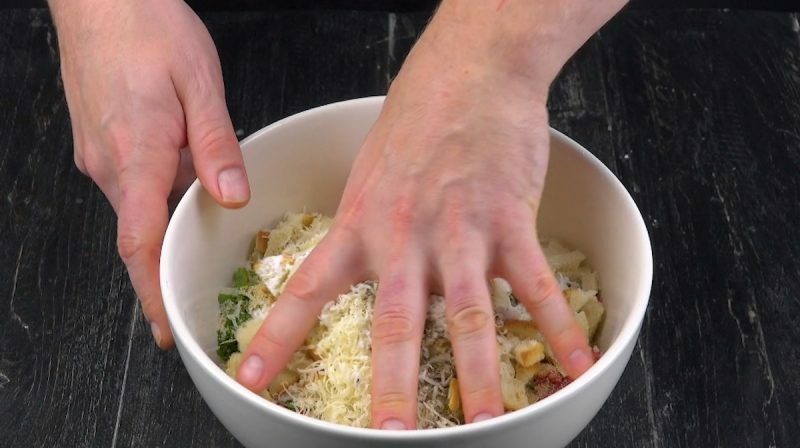 Mix the ground beef, eggs, parsley, bread crumbs, day-old roll, parmesan cheese, salt, and pepper together by hand. 3. Spread the meat mixture over the eggplant slices – make sure to leave about a 3-inch margin at the top. 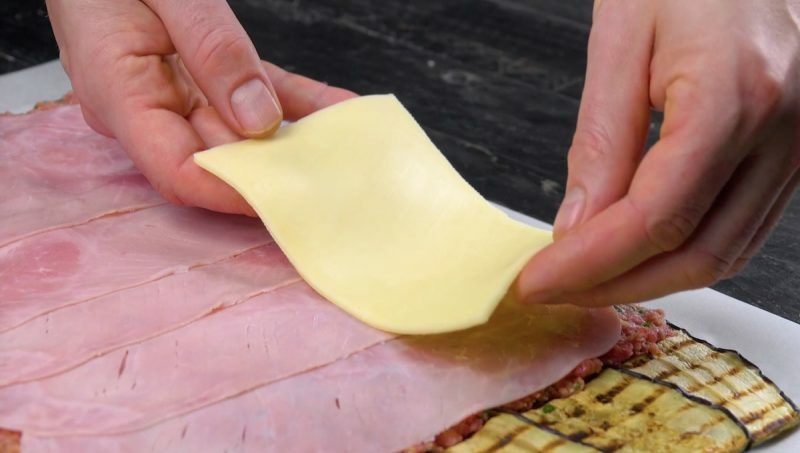 Then distribute the ham slices, followed by the cheese slices, over the ground beef. 4. Use the sheet of parchment paper to help you roll up the dish – keep it tight so none of the ingredients fall out. Place the eggplant roll-up on a sheet pan and cook for 15 minutes. Mmmmm, can you smell it? This hearty stuffed eggplant roll will go fast, so be sure to grab yourself a piece while you still can! You can find the recipe for the Pasta Cake with Grilled Eggplant featured in the bonus video here.